Hannah Morrison studied the piano and singing at the Maastricht Academy of Music and completed her Master Studies for singing with Barbara Schlick at the Academy of Music in Cologne. She had previously undertaken a Masters in performance with Rudolf Piernay at the Guildhall School of Music & Drama. She gained further inspiration in masterclasses with Evelyn Tubb and Anthony Rooley, Barthold Kuijken, Andrew Lawrence-King, Sir Thomas Allen and Dame Kiri Te Kanawa. 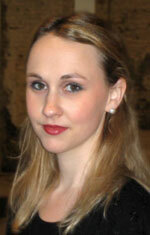 Hannah is in demand as a soloist, in oratorio as well as lieder. She has worked with many ensembles including Les Arts Florissants under William Christie; her lieder recitals include the Chelsea Schubert Festival with Brandon Velarde and Graham Johnson and a Mendelssohn recital at Kings Place with Stephan Loges and Eugene Asti.